The wreck left on December 9, 2013. AN engine failure is responsible for forcing a home-made aircraft to crash land on a South Lake oval in 2013, an investigation has found. Pilot Tony White and his passenger Ralph Lerch were left with severe burns after they crash-landed the Glasair III aircraft on an oval on the afternoon of December 9. 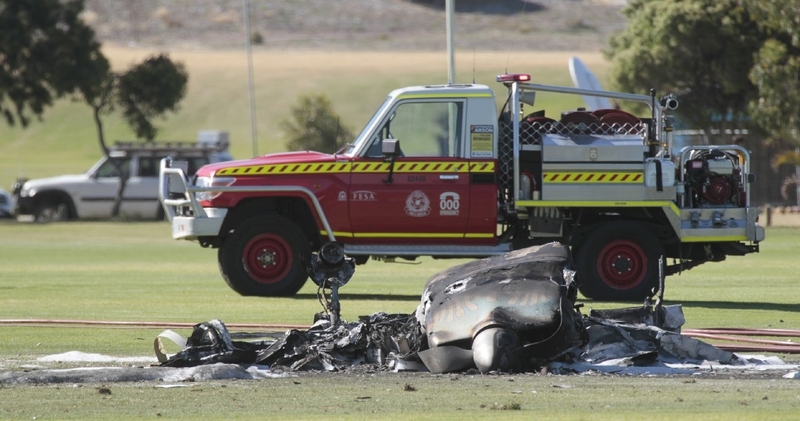 A subsequent report by the Australian Transport Safety Bureau, released today, confirmed the engine stopped without warning shortly after take-off from Jandakot Airport. Modifications to the electronic ignition system during the plane�s construction are believed to be behind the engine failure. �In this case, damage to the aircraft�s modified single wiring harness resulted in the failure of an otherwise redundant system, with near-fatal consequences,� the report reads.